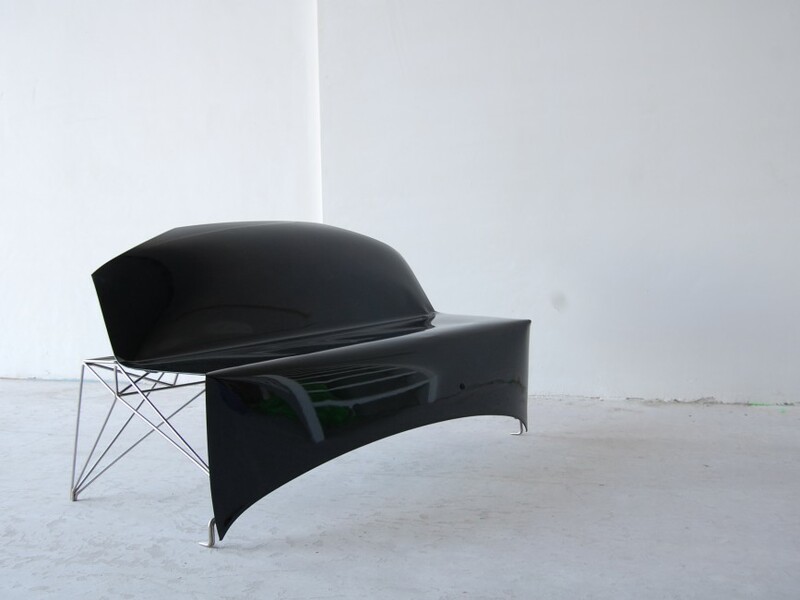 The Car Bonnet Seat shows how logical, new functional products can be created through the re-interpretation of existing shapes and objects. Taking advantage of the car bonnet's original features allows it to function as a seat, supported underneath by a metal brace. 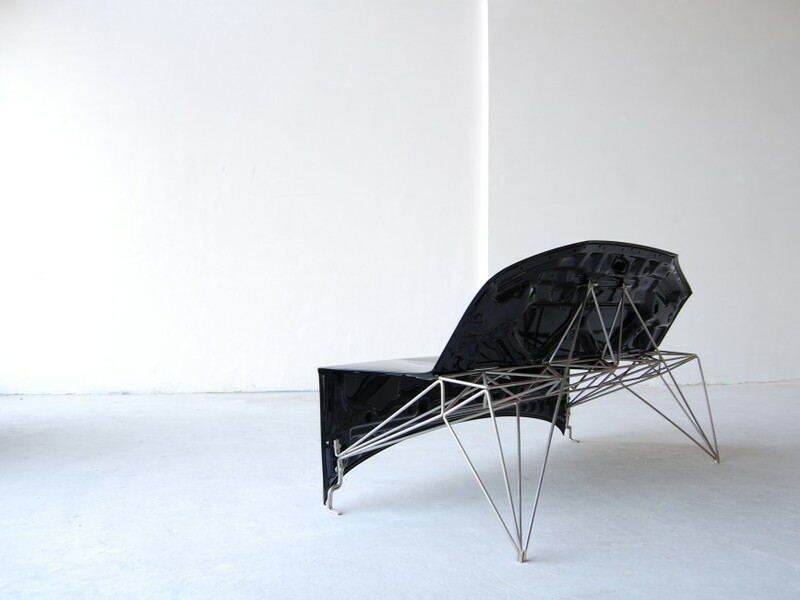 The support's open construction offers a clear contrast with the seat itself.